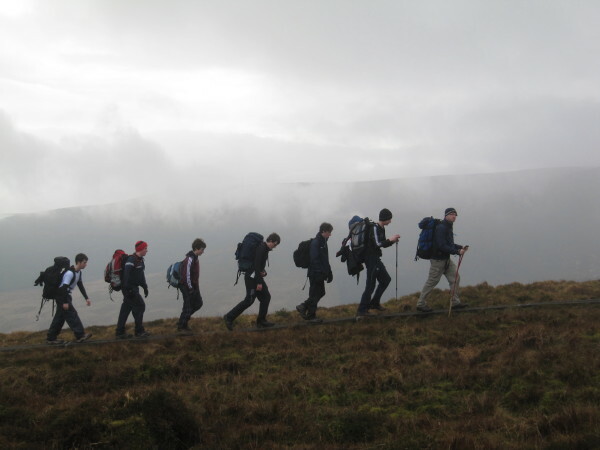 Teacher, Mr Coffey, leads a group of Transition Year students across the Wicklow mountains overlooking Glendalough on a recent trek as part of their ‘An Gaisce’ awards. After a very welcome mid term break school resumed in pleasant spring conditions last Monday. The school year is, as ever, racing past and with ‘Mocks’ done and dusted, the Orals and practical elements of subjects now loom large. With only 5 weeks to Easter and a further 7 thereafter to the Summer break, the minds are sharply focused on the work that lies ahead. Transition Years are now out on their second block of work experience so good luck to them and indeed our thanks go to the many employers who so kindly provide such valuable workplace opportunities to the students. Our school showjumping team has been in excellent form in recent weeks winning events in Ballinasloe and in Newry. 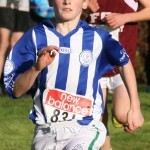 The enthusiasm of the boys and their parents is extraordinary as evidenced in the volume of travel undertaken each weekend to compete in the ‘Hoofprints’ national league which our boys currently lead with only a few more events to go. Hopefully their efforts will be rewarded with outright victory. Ben Curran continues to make great progress in his swimming career and in addition to lifting double bronze in the Irish schools finals recently, he will next week compete in the national qualifiers for London 2012 where all of the country’s top swimmers will compete in addition to a number of internationals who will use to event to try make qualifying times.Good luck to Ben in that. There was a lot of money raised by students from the school over the last number of weeks in aid of the ‘Shave or Dye’ cancer research fundraising drive. 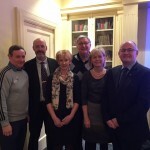 There are few in any community who are not touched in some way by the torment of cancer and those students who organised the local event in the Horse and Hound were very sincere in their efforts.